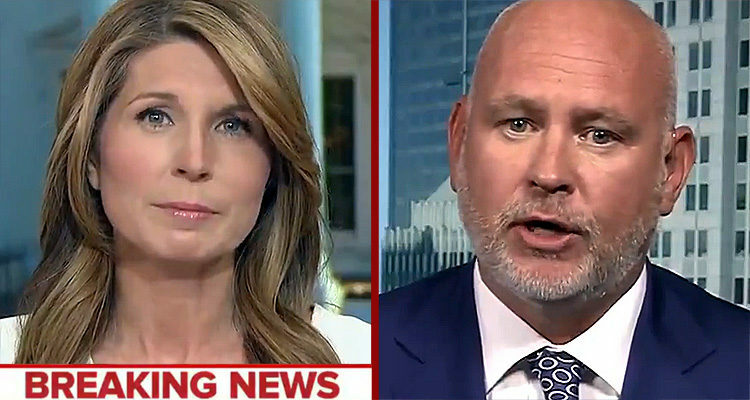 Steve Schmidt let loose during a Thursday appearance on “Deadline: White House” discussing the Trump administration’s efforts to destroy the rule of law in America – a law that has held for 240-plus years until now. Normally, we would provide some background, but Schmidt’s words speak for themselves, and we don’t want to dilute his message. This president is besieged by investigations, and all around this president from Scott Pruitt and cabinet secretaries who have already resigned – we see fantastic levels of corruption, the type of corruption we haven’t seen in this country going back a hundred years. And what’s increasingly clear, whether the target is James Comey, whether it’s Director Mueller the Special Counsel, the reality is that this president will burn everything to the ground to protect himself from this investigation moving closer to the Oval Office. Everything he’s doing is a strategy of incitement. He’s trying to harden & incite his base through the most deliberate, the intense misinformation campaign that this country has ever seen. This president is a serial liar. He is lying to the American people every day. He is making up things out of whole cloth. He is serially attacking vital institutions that are necessary to the security of the country. He will apparently stop at nothing. There is a second scandal, and that is the complicity of the majority party – the Republicans in the Congress. The fact is that there is not one of them, not one who will stand up and say that we are a country of laws, that no one person is above the law, that these institutions are vital and necessary and objective truth matters. This is propaganda. This is what propaganda looks like. It’s what it smells like. We have never seen anything like it. What we’re seeing is an attack from within on vital institutions like a person’s body would be attacked by a flesh-eating bacteria, and it is unprecedented in America. It should never have happened. I mean on the one-to-ten scale of inappropriateness it comes in about 157. An the real issue now is what’s the next transgression? What’s the next time that the Department of Justice backs up because of the whims, because of the demands of the president. We’re moving as John Heilemann said “closer and closer to crisis to the critical hour.” And the rule of law in this country must be defended. There’s a potential, absent any defense of it by leaders in this country, that we’ll be living in a very different type of country. For 240-plus years the rule of law has held in the United States of America and the spinning of these conspiracy theories, the constancy of the attacks, the victimization that Trump puts upon himself – always blaming someone, this nefarious conspiracy – this is the hallmark of autocratic leadership back to the beginning of time. This is not normal in a democratic republic like the United States. And it should be opposed.